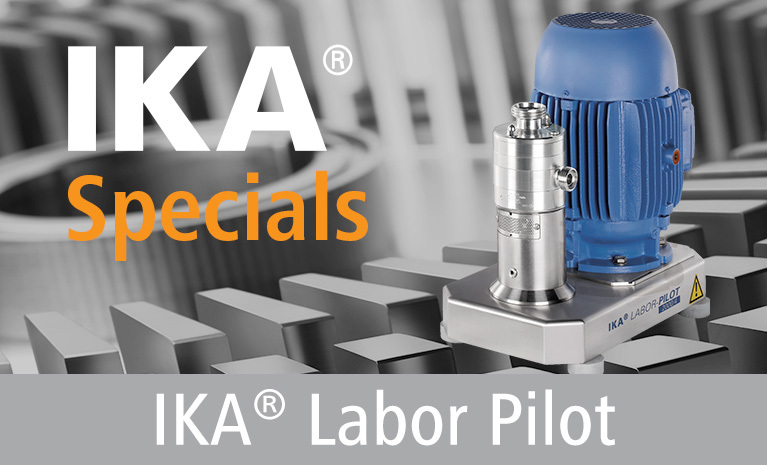 The IKA DPV dilution plant is suitable for all those applications where two or more liquids are to be quantity-based and homogeneously mixed by using a one pass operation. The continuous process enables a highly efficient and economical production. 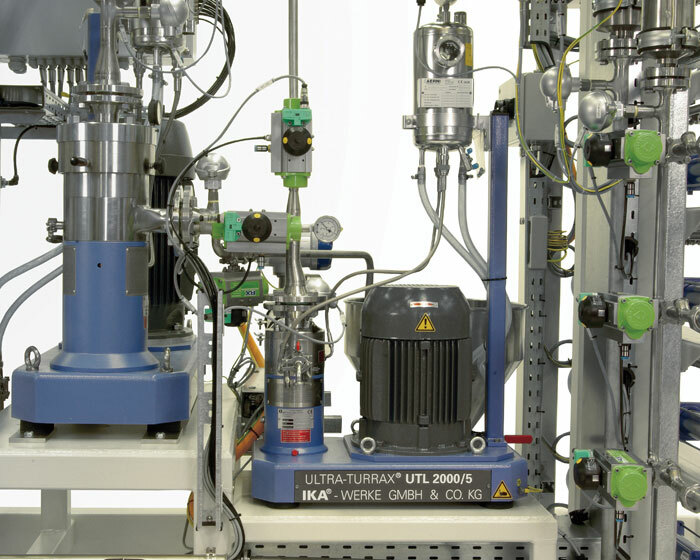 The core of the plant is a single-stage inline dispersing unit ULTRA-TURRAX®, which is sufficient for the most standard applications. 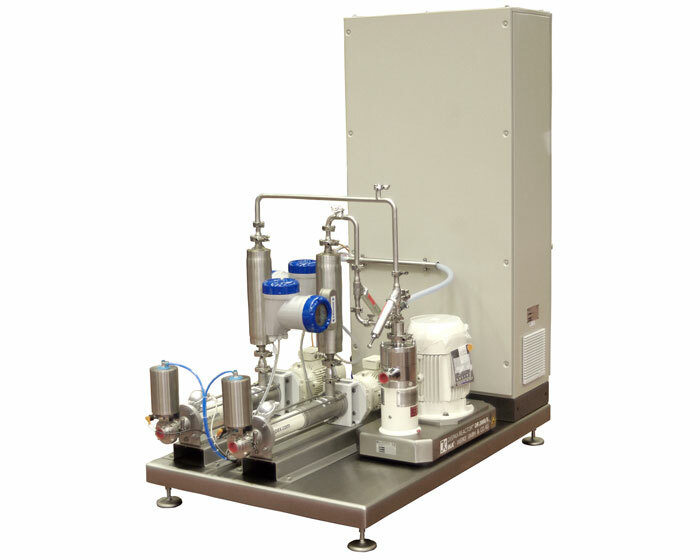 When it comes to higher demands concerning dispersing quality, the homogenizer can be replaced by a three-stage machine DISPAX-REACTOR® or a colloid mill type MK. The ingredients are metered with a high accuracy into the dispersing unit by means of pumps that feature very stable characteristics. Various sensors and an electric control with optional upgrades for the process automation round out the entire unit. All devices of the plant are arranged on a common base frame as a compact skid with full piping and internal electrical wiring. The plant is tested for operation before delivery and the requirements for the installation on site are herewith minimized. After connecting the feed lines and utilities, the plant is ready for operation. 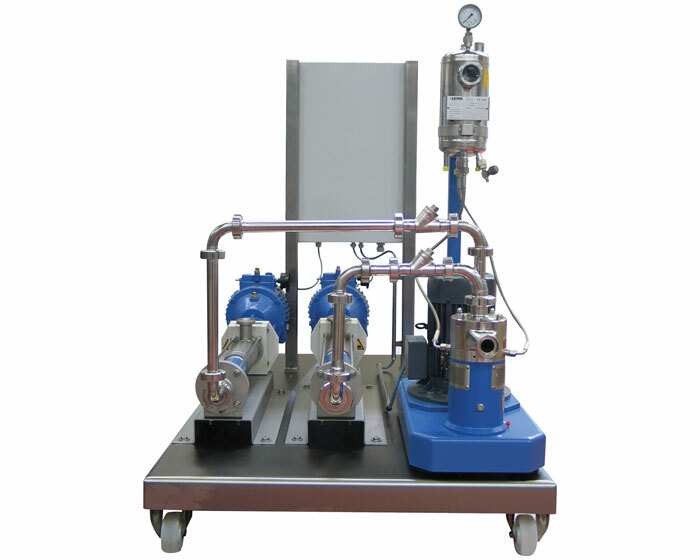 The distinctive feature of the IKA dilution plant is the optimal procedure of the dispersing process. The phases to be mixed don’t come in contact with each other until right before the dispersing tool. This entirely prevents unwanted reactions such as lump formation. The main application of the standard IKA dilution plant type DPV is the thinning of 70% lauryl ether sulphate (LES) down to a concentration of approx. 28% during the production of liquid detergents. 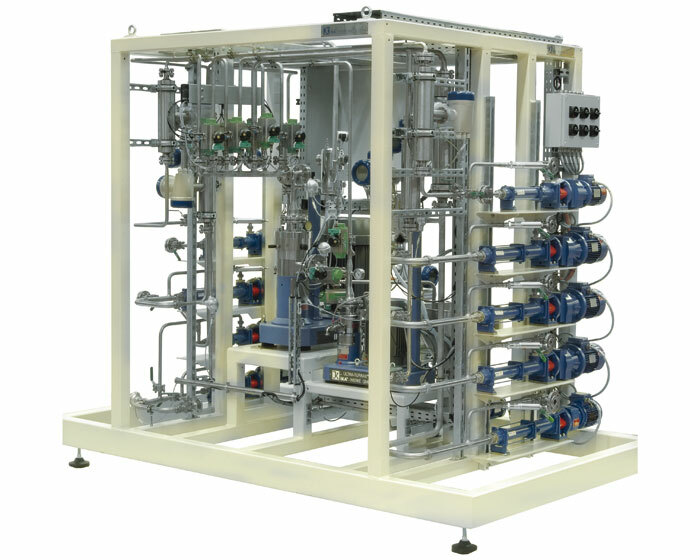 Due to the delivery of concentrated LES and on-site dilution, transportation costs are greatly reduced so that a DPV plant is amortized in a short period of time. In addition, the unit provides high flexibility in the adjustment of the concentration as well as for the formulation of multiple ingredient mixtures. Whether it’s utilized for the production of household dish liquid or of skin care products, the DPV plant has proven itself many times over.